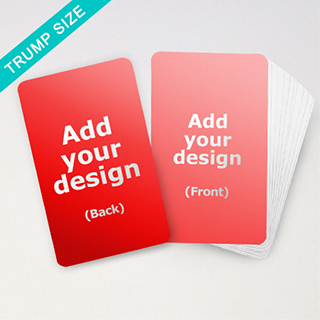 Dimensions: 62mm x 100mm, 2.45" x 3.95"
Our custom trump size cards are perfect for designers or corporate businesses making their own top trump card games with whatever photos and images they want to put on the cards. 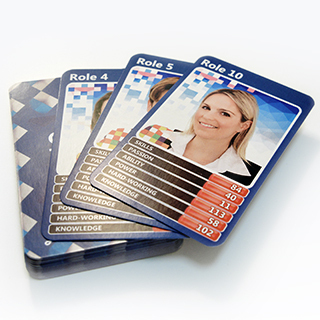 Simply upload your files and designs onto our online trump cards maker, add any text as required, preview it and order 44 cards per deck set as default. 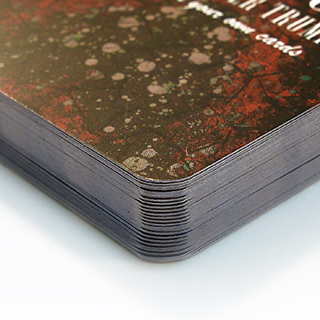 You can change the number of cards per deck from 1 to 440 complete with a tuck box, plain or customized. 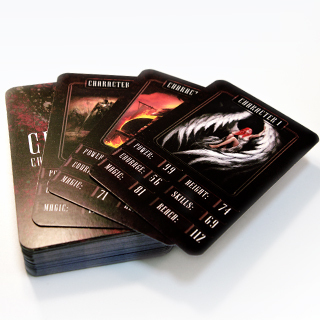 We print your custom top trump cards in full photo color printing on top grade card stock used for card games. 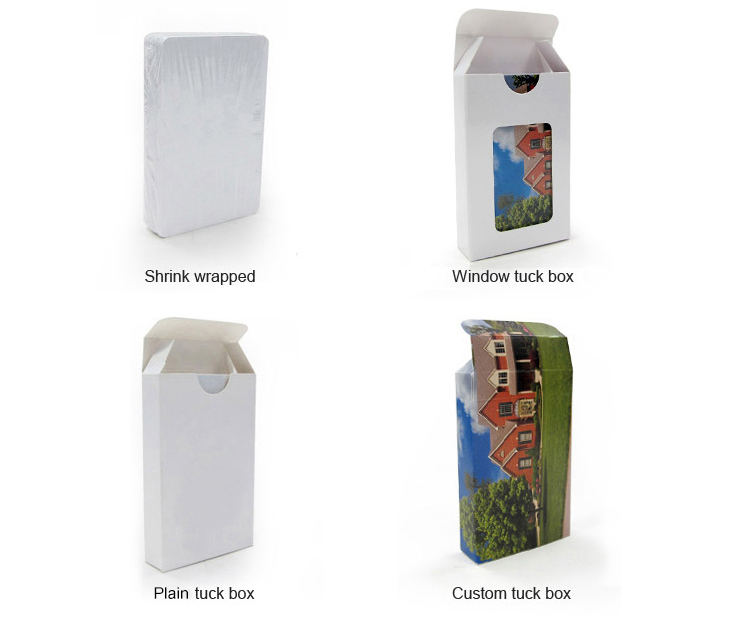 There is no minimum order quantity required and we ship them worldwide. We are using sample trump artwork design as a sample to show printing and card stock quality.